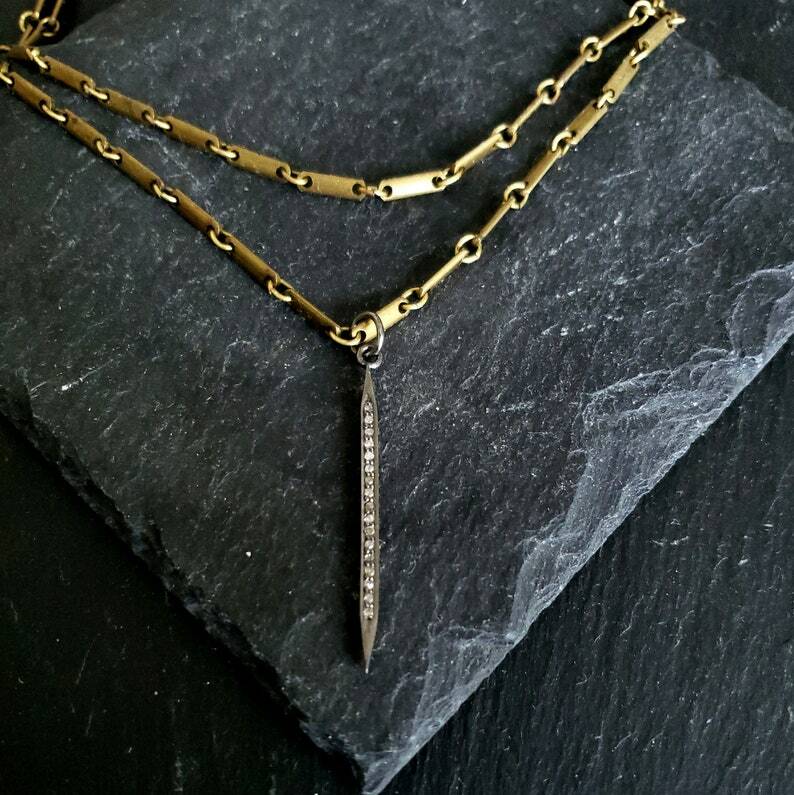 Let The Diamond Spike Brass Chain be your SIGNATURE NECKLACE ~ it's subtle yet makes a statement. 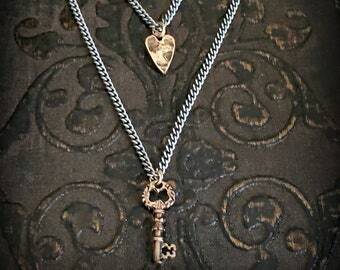 This necklace is perfect for layering when you want to mix it up - add visual interest to your layered necklaces. 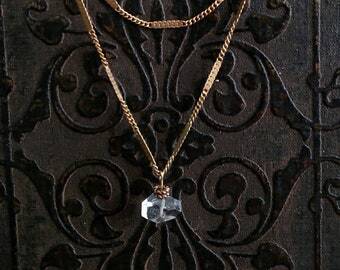 Perfect for special occasions or enjoy this diamond necklace as an everyday piece of jewelry. 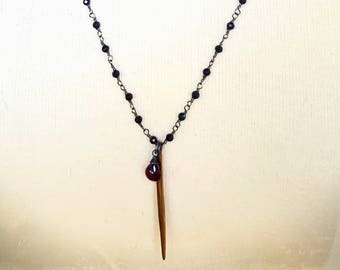 You can choose the 18" length and wear as a single chain necklace or choose the 32" length and wear as a wrap around necklace. 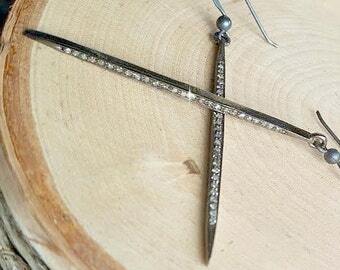 The beautiful PAVE DIAMOND spike features tiny champagne diamonds bezel set in black oxidized silver spike. 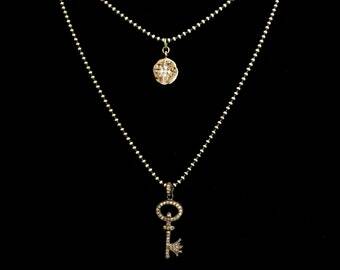 The sparkle from the pave diamonds is subtle - perfect for an understated elegance. 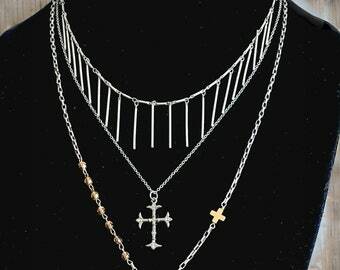 The spike is paired with a vintage brass chain for a little high and low vibe. 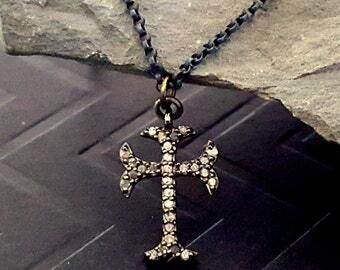 PAVE DIAMOND Spike Pendant, 1-1/4"
CHOOSE NECKLACE LENGTH: 18" or 32"
Another gorgeous piece of art!! 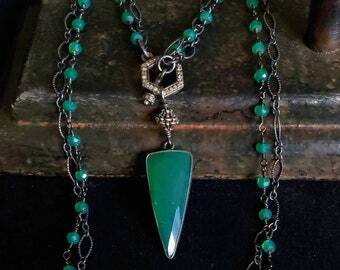 So stunning, so happy as always with your pieces!! Thank you to an amazing seller and artist! !